Sakyong Mipahm Rinpoche receives the Collected Tibetan Works of his father, the Vidyadhara, from Karma Senge Rinpoche while visiting Dorje Khyung Dzong in Surmang, Tibet. Photo by Diana Church. On his historic first visit to Tibet in 2001, Sakyong Mipham Rinpoche made a lengthy visit to the Surmang monasteries of the Trungpa tülkus. In addition to the many photographs, videos, and stories the Sakyong and his traveling companions brought back, they brought a very precious and unique treasury of teachings. During the visit, Trungpa Rinpoche’s nephew, Karma Senge Rinpoche, revealed that although he had never met Trungpa Rinpoche, for the past fifteen years he had been inspired to thoroughly search out and compile the writings and terma that Trungpa Rinpoche had composed or received before his escape from Tibet. In a spontaneous and emotional ceremony in the Dorje Khyung Dzong retreat at Surmang, Karma Senge (or “Karma Senge”) Rinpoche presented the Sakyong with a copy of the collected works (sung-bum) of the Vidyadhara compiled thus far. Upon the Sakyong’s return, this collection was entrusted to the Nālandā Translation Committee. As many of you know, this precious collection has become a major area of focus for us over the last several years. The collection’s twenty-eight sections range in length from one to seventy-five Tibetan pages, totaling about 600 pages. Previously, at the request of Karma Senge Rinpoche, the late Ugyen Tendzin, a close dharma brother of the Vidyadhara, wrote an introduction and table of contents to this. The list of section titles (see below) included in this is an intriguing glimpse into the variety and depth of the collection’s contents. What’s amazing is how much is hidden beneath this list of titles-each section contains anywhere from one to a couple dozen separate texts. Some are earth or mind termas (sater, gongter) discovered by the Vidyadhara. Some, like the Light Rays of the Sun and Moon, published in 2001, are moving accounts of the Vidyadhara’s experiences with his own gurus. Others are sadhanas and liturgies meant to be practiced, while still others contain songs, practice advice, and summaries of the path. Discovering these early teachings has certainly been an exciting event for our community. It has been equally exciting to be involved in the preservation and translation of these precious documents. Some of the texts had actually been buried in the ground to protect them from being destroyed by the Chinese. Some of the current reproductions we are working with are photocopies of the only known copies in existence. Funding is still needed to preserve these original copies, some of which are in Trungpa Rinpoche’s own handwriting or bear his thumbprint. 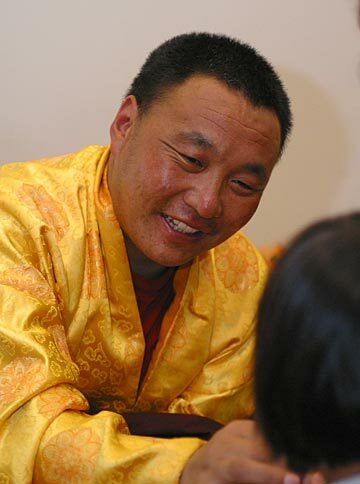 The Translation Committee has provided some assistance, and more is needed, so that Karma Senge Rinpoche can continue his vital work of searching for more texts, seeking out and comparing various editions, resolving textual discrepancies, and of course, making duplicates of the original texts. Karma Senge Rinpoche thought it very likely that the number of texts and pages of the collection would increase through his continued gathering and editing of texts into a final collection of the sung-bum. To aid him in this process we have begun to input all of the sung-bum into a computerized Tibetan format. This will be useful for comparing different editions, as well as eventually providing for a very good, final, authoritative Tibetan edition. Making these texts available to a wider audience in English is a complex process. Each of the many rough drafts we have compiled needs to be reviewed with a lama. This year (2005) we were able to catch up with some of our backlog of work as we had a wealth of visiting teachers to work with in Halifax. 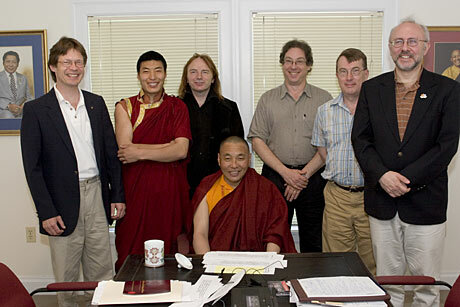 In the summer, the Translation Committee cosponsored Karma Senge Rinpoche’s visit to North America. During his month-long stay in Halifax, we were able to review a number of the translations of the Vidyadhara’s compositions that we had been working on over the past year. To date we have completed drafts of the Introduction and Contents, and the texts in sections KA, DA, NA, TSHA, DZA, WA, ZA, YA, RA, LA, and parts of sections SHA and KHA. There are also a number of additional texts by the Vidyadhara given to us by Karma Senge Rinpoche during his visit in 2003, as these were not included in the original collection. In addition to these, with Karma Senge Rinpoche’s help this summer, we were able to receive from Akong Rinpoche a number of other texts composed by the Vidyadhara in Tibet. Last year we included an excerpt from section SHA, an ati-style devotional poem, entitledThe Yearning of Recollection: Spontaneous Song of Calling to the Guru, which is published here in its entirety. Through Karma Senge Rinpoche teaching this text this summer (2005), we were able to refine our translation, and we learned that this is to be used in conjunction with practicing The Profound Guru Yoga. In the near future we will publish these two texts together for your use. These texts demonstrate the depth and eloquence that is characteristic of so many of the Vidyadhara’s early works. These works evoke a special poignancy—a means of seeing the inner life of our teacher so long ago while simultaneously encountering teachings that are so applicable to our life right now. Our goal is still to have a knowledgeable Tibetan lama in residence in Halifax, who would greatly facilitate the process of making these texts and many others available for publication. We also hope that Karma Senge Rinpoche will be able to return to the West many times to teach and to continue to provide his indispensable assistance, not only through his elucidation of the texts’ meaning, but also by providing details of Trungpa Rinpoche’s early life in Tibet. We are looking forward to further visits in this coming year from Karma Senge Rinpoche, and Surmang Khenpo from Surmang. In the meantime we continue to translate and explore these important additions to the treasury of Shambhala Buddhist teachings, and we thank you for the vital support you give to this. The breadth and depth of what Trungpa Rinpoche accomplished in his nineteen years in Tibet is simply amazing. In addition to receiving training in all aspects of his tradition and obviously attaining accomplishment in this, he somehow found time to write hundreds of pages. A surprising number of these were terma (“treasure” texts), and most of those miraculously extracted from a sacred mountain as earth terma. Unfortunately, several very large volumes remain lost, including two volumes on Shambhala and a thousand-page text on mahamudra. 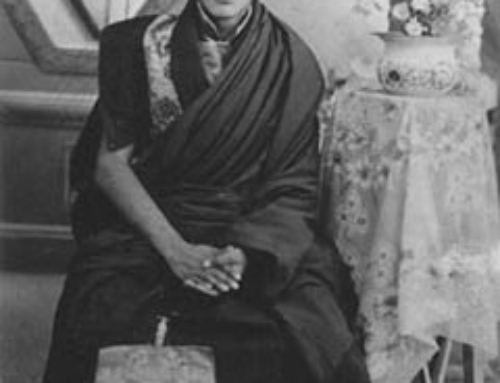 Fortunately, Karma Senge Rinpoche was inspired to dedicate his life to collecting, preserving, and propagating the teachings that remained accessible. When asked whether he had received any teachings or commentaries on any of the works of Trungpa Rinpoche, Karma Senge Rinpoche explained that in the eleven years he spent collecting these texts, traveling throughout Kham (East Tibet) and even to parts of Central Tibet, he received each one from direct disciples of the Vidyadhara, and they gave him whatever lungs or transmissions they held and explained whatever Trungpa Rinpoche had told them. If Karma Senge Rinpoche had any doubts or uncertainty, he asked the students to explain further. He said that there were ninety-two (or ninety-three!) students of Rinpoche during those days, many of whom are now departed. In the case of some of these writings, many students made their own copies, and each one differs to some extent from the others, whether through scribal error or faulty previous editions. In order to establish an accurate edition of such texts, many editions need to be collected and studied. As well, during the Cultural Revolution and other very difficult times, many dharmas texts and implements were buried. When times improved, they were unearthed. When things got bad again, they went back into the ground. So many of the originals are in an extremely fragile state by now. 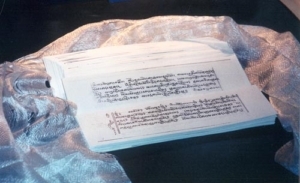 In many cases, the original texts were so highly treasured that the students refused to part with them, so Karma Senge Rinpoche made his own copies. 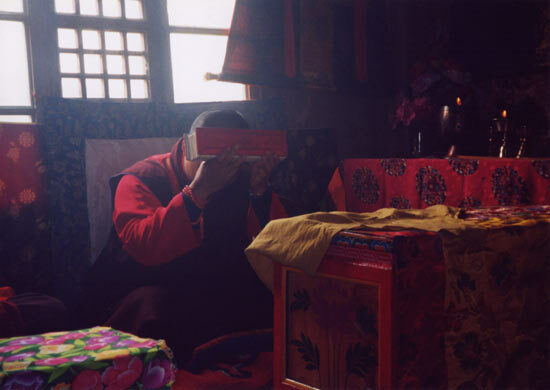 There were even some termas that Rinpoche was not yet able to see, so protective were some of the guardians of these. We discussed in detail what remained to be done in order to complete this work. Rinpoche explained that he needed to collect the remaining texts and editions, there being at least a few important locations that he has not yet visited. 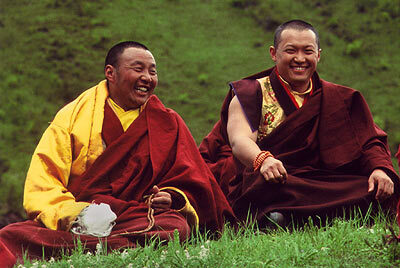 Then all the writings need to be edited, during which time Rinpoche would establish the best possible reading. He explained that he would need four assistants, and they should be able to accomplish this work in ten days. He would have to pay these helpers, and there would be travel expenses and costs involved in rewriting all the texts. He also hoped to be able to enter all the data into a machine-readable format. Finally, the texts would need to be published so that they could be made available to others. And so we now ask you to help us fulfill this promise. When Sakyong Mipham Rinpoche returned from his first journey to Tibet in the summer of 2001, he brought with him a very precious collection of texts written or discovered (in the case of terma, or “treasure” texts) by his father, the Vidyadhara Chogyam Trungpa Rinpoche. We had never seen most of these, nor did we even know of their existence. Karma Senge Rinpoche, a nephew of the Vidyadhara, spent fifteen years searching the regions traveled by the Vidyadhara for any texts, even scraps of paper, authored by him. On June 20, 2001, the Sakyong and his party journeyed to Dorje Khyung Dzong, the retreat center of Surmang Dütsi Tel, over a thousand feet above the monastery, perched on a hundred-foot cliff built around a Chakrasamvara cave. At the time, there were eight retreatants there, all yogins with long hair. 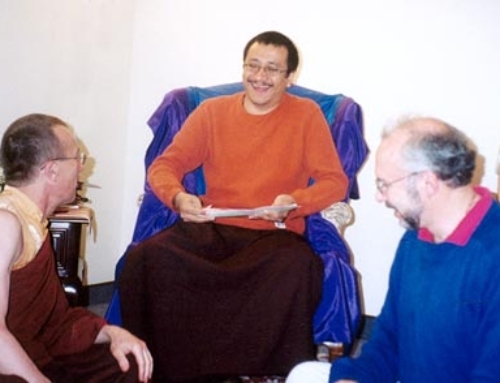 After a formal welcoming ceremony, Karma Senge Rinpoche described how he had collected these texts, and he gave a reading transmission of Light Rays of the Sun and Moon, the autobiographical doha that we translated and published in time for the stupa consecration in 2001. This was the first reading transmission of the text, and Karma Senge Rinpoche was moved to tears a number a number of times while giving the transmission. The assembled party listened in silence as he was overtaken by strong emotion while reading the Vidyadhara’s own account of the precious time he spent with his teachers. Karma Senge Rinpoche is having all of the texts he collected recopied into a single volume that will number about 380 pages when it is complete. While in Tibet, he gave a copy of what had been completed to Mipham Rinpoche, totaling 309 pages, all written in the u-me, or “headless” script. We have cataloged the contents, and with the help of Lama Chönam and Lama Karma Phüntsok, have begun to prioritize the rather lengthy project of translation. There are twenty-five texts plus a table of contents—an interesting document in its own right. Not only does it detail the titles and length of each text but it also gives a brief history of some of the terma revealed by the Vidyadhara in Tibet—the circumstances and particulars of its discovery and so forth. Lama Chönam advised us to continue our translation of the collection with a text called The Sun of Wisdom, Which Dispels the Darkness of the Barbarians: The Condensed Meaning of the Effortless Yana, the King of All Oral Instructions. This contains a more detailed account of Khenpo Gangshar teaching Trungpa Rinpoche, and so we hope it will become a companion volume to the doha. It’s a bit longer and written somewhat like a sutra, beginning with “Thus have I heard.” The Vidyadhara recounts the particulars of being with his teacher, Khenpo Gangshar, the khenpo’s consort, Chi-me Palmo, as well as other close students. We are working on a translation of this with the learned assistance of Thrangu Rinpoche and Geshe Samdup. Other texts in this volume include short sadhanas and supplications, guru yoga practices, feast liturgies, a fulfillment offering, songs, poems, and collected oral instructions and advice on meditation. Obviously, we have our work cut out for us, and it has been very inspiring to be able to read and translate such precious and previously unknown teachings from our root guru. We hope we will be able to meet Karma Senge Rinpoche sometime in the near future, learn more about these works, and receive the rest of this collection. In the middle area of the six ranges, amidst the Kyere region of East Tibet, in the kingdom of the great lord dharmaraja, lord of the people of Lhathok, in the upper part, which is in the vicinity of the gently flowing turquoise river, deep blue, clear, and beautiful, the supreme sacred place, the white rock mountain known as Kyere White Face stretches to the sky—meeting the clouds and mist. A variety of greenery and flowers blossomed. With many birds and animals roaming about, it is beautiful and calm. In the profound mountain solitude, a blessed place conducive to clear awareness, Joyful Supreme Secret, many treasures of teachings, wealth, substances, and so forth were hidden. They were entrusted to the terma protector Ekajati, the kshetrapali Shmashana-devi and so on. When the signs of the age of the five degenerations—twenty-year-olds lose their teeth—has become manifest, the incarnation Yeshe Yönten Shönnu, the great master, will appear. Trakthung Rigdzin Tsalchang, who has mastered the view of effortless ati, will reveal a four fingerwidth neck kila of mahaguru Padmakara from the place in which the lotus of space blossoms, on the left side of the door of the crystal mansion of Vajrasattva, which is the lower self-arisen rock cave. From the roof of the cave, there will be a yellow scroll with symbolic dakini script, six fingerwidths in length, two in width. From the base of the rock of Yama, the hair of Tsogyal, together with rasayana that liberates by taste, was actually revealed. The excellent attendant, Karma Ösel Lhündrup, together with myself, had the opportunity to actually see this. Even though the yellow scrolls were decoded and there were many other things, most of them were scattered due to the times. At this time, songs of experience, oral instructions, the cycle of dharma teachings of the Heart Essence of Padma, and so forth are what remain from all that was scattered here and there.